Beautiful updated Discovery Bay home on deep water with a large deck and overhang for entertaining! 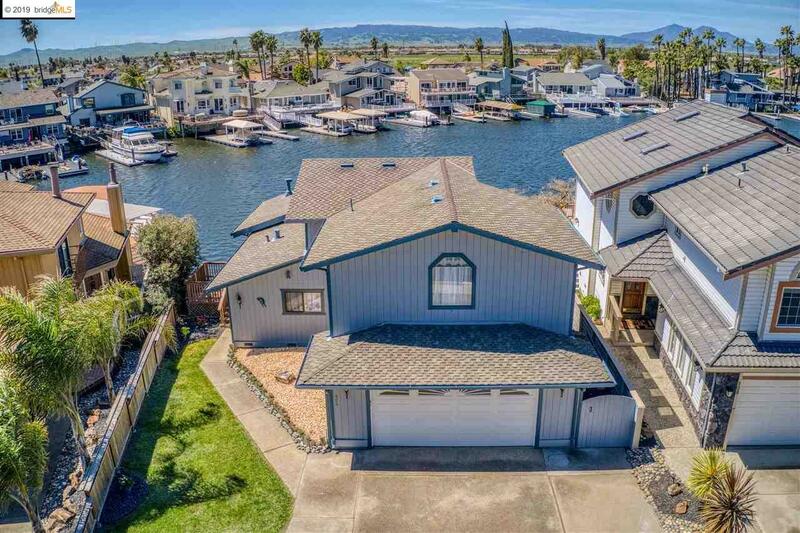 Enjoy hundreds of miles of fishing, skiing and playing on the Delta, this home sits on beautiful Lido Bay and only 5 minutes to fast water! Spacious open floor plan, Over 2,400 sqft., 3 bedrooms 3 baths plus an office!The kitchen has new quartz counters, back splash, five burner gas cook top, two drawer dishwasher! Huge family room with New sliding doors over looking your amazing view of the water! Master Bedroom has its own private deck over looking the water! New master bath with quartz counters, spa like walk in shower with frame less shower door! Updated Mudroom/bathroom that leads from your deck! New lighting!Dual zone AC, water softener, reverse osmosis,220 in garage! New interior paint! Hydro hoist included!Come and check this home home out and live like you`re on vacation all the time!